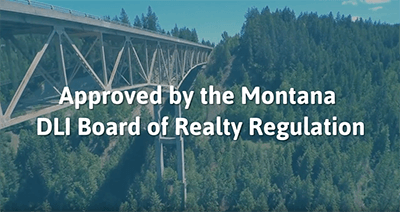 This course is approved with the Montana Board of Realty Regulation for 3 Hours of Ethics continuing education credit. The course will include topics such as the concepts and terminology of ethics, ethical duties, and situation ethics. In the first section under ethics for real estate professionals the student will go over what is ethics, ethical concepts and terminology, why ethics matter, the ethical duties of real estate professionals, and ethical situations in which real estate professionals may find themselves. The course covered the most pressing issues that I encounter in this business. The lessons are done well and keep interest up.